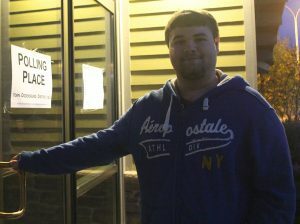 OGDENSBURG, NY – High school senior, Dedan Graveline, voted for the first time today. Dedan voted at the Dobinsky Centre in Ogdensburg today with his parents. 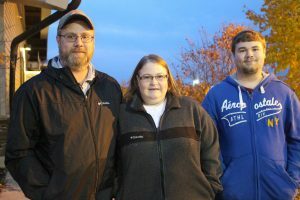 Amy and Brett Graveline are not normally involved in the news or elections, but Dedan’s engagement this year has rubbed off on them. 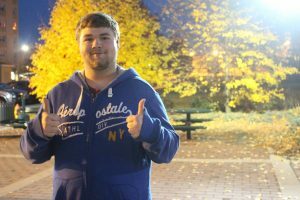 On the way to the polling station, Dedan explained why he supports Independent candidate Gary Johnson. That is who he cast his ballot for today. Dedan described the polling station as open and pleasant, though the election, he said, is not. 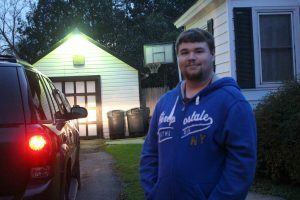 Although Dedan predicts a Trump victory, he felt good about his first cast ballot. Photo taken by Shalu Mehta.